It's Cruise Ship Saturday! Today we're talking about travel scooters. As people with limited mobility one of the places where we feel like regular people is on a cruise ship. Being in a business where the primary customers are retired people, cruise lines have experience working with less-than-mobile folks. From helping carry your plate at the buffet to providing assistance traveling up the gangway and everything else in between, a crew member is there. If you need a wheelchair or scooter there are rental companies working with cruise lines that can have one waiting for you in the cabin. If you use a cane or walker consider looking into this option. Being able to move around the ship and in port without having to worry about all the walking brings a freedom like no other. Most travel scooters are narrow enough to fit through a standard door but a full size scooter requires a handicapped cabin because of its width. Handicap accessible cabins are near elevators and are much larger than regular cabins. If you need one, book one. Scooters are not allowed to be left in hallways. 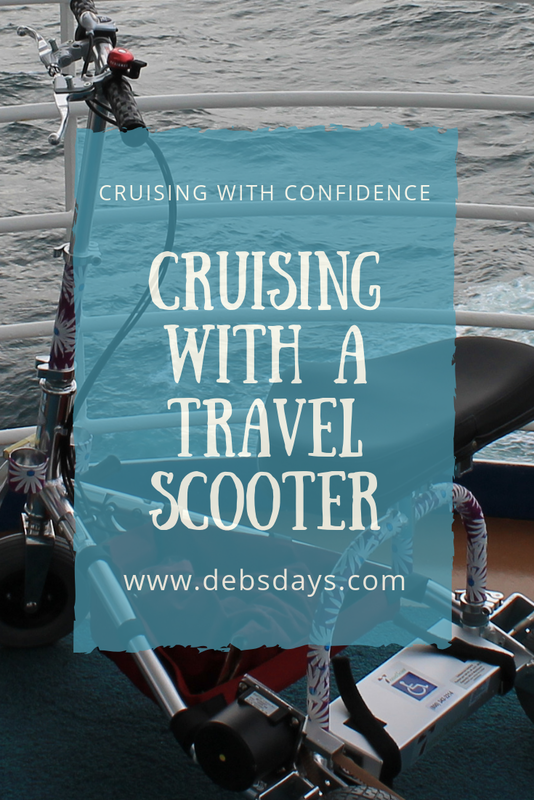 having a scooter will pretty much guarantee a richer and more active cruise experience. If you use a walker or wheelchair, please consider a scooter instead. You won't regret it!